Website has become essential for businesses and the number of companies that offer website support and designing service is ever increasing. There are platforms such as WordPress that have made designing and development of websites easy for people. However, business websites cater to an altogether purpose than personal or other kinds. The capability of a website to attract web traffic significantly influences the growth potential of the owner company. Local SEO Tampa has chalked out website design process that is SEO-oriented. Search engine optimisation has become an essential service in the present age of cut-throat online competition. People throughout the world use websites and online services to gather information, transact, communicate and even learn. Intuitive website layout, simple usage and relevant content are the demand in the current age. 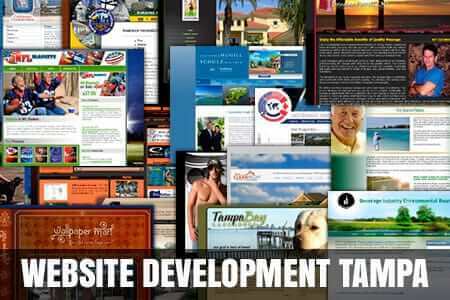 Local SEO Tampa develops websites with attention to all details pertaining to businesses. Great attention is paid to intuitiveness in design according to the purpose of the website, separate meta-data for each webpage, integrated content management system and similar features in every website design project. Small Custom WordPress Website Design: $950 – The WordPress based responsive custom website design with up to 10 pages, a blog functionality, a mobile friendly interface and a contact us form. Extended Custom WordPress Website Design: $1,590 – The WordPress based responsive custom website design with up to 30 pages, a blog functionality, a mobile friendly interface, custom designed slide show header and a contact us form. WordPress website support and maintenance includes monthly/bi-weekly/weekly WordPress updates and technical support.